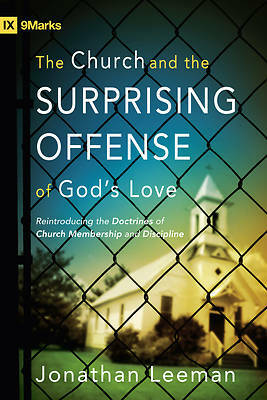 An expert defense of how God's holy love is biblically, theologically, and practically represented to a watching world through the local church practices of membership and discipline. When the world speaks of "love," it often means unconditional acceptance. Many churches have adopted this mind-set in their practice of membership and discipline-if they have not done away with such structures entirely. "Yet God's love and God's gospel are different than what the world expects," writes Jonathan Leeman. They're centered in his character, which draws a clear boundary between what is holy and what is not. It's this line that the local church should represent in its member practices, because the careful exercise of such authority "is God's means for guarding the gospel, marking off a people, and thereby defining his love for the world."